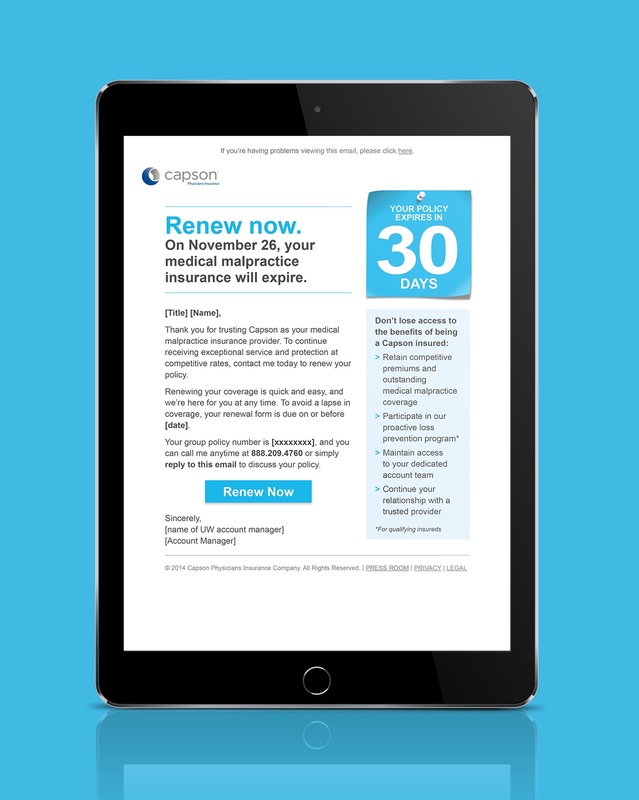 Capson sells medical malpractice insurance policies directly to doctors through their website. Compared to their peers their website’s monthly traffic and organic conversion rate were extremely low. 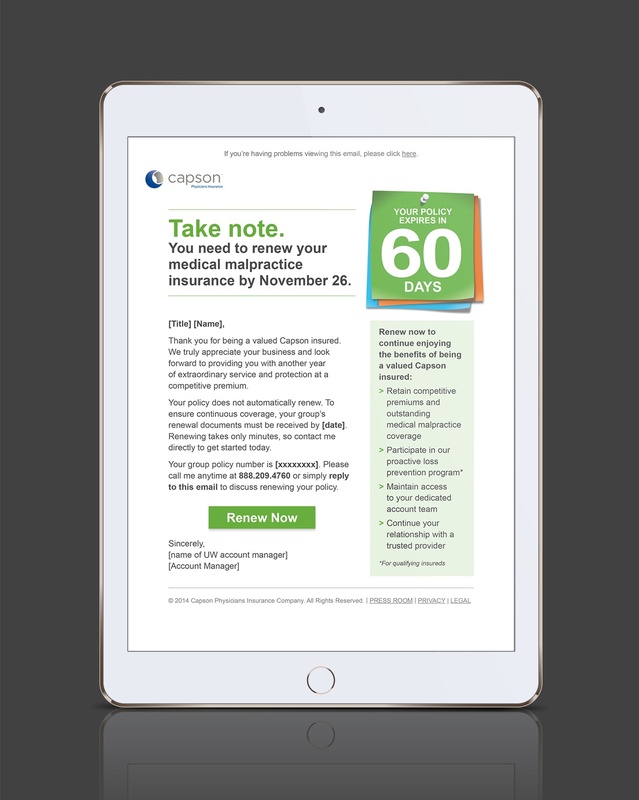 When Capson did sell a policy online the marketing costs to do so were equal to 87% of the sales revenue. 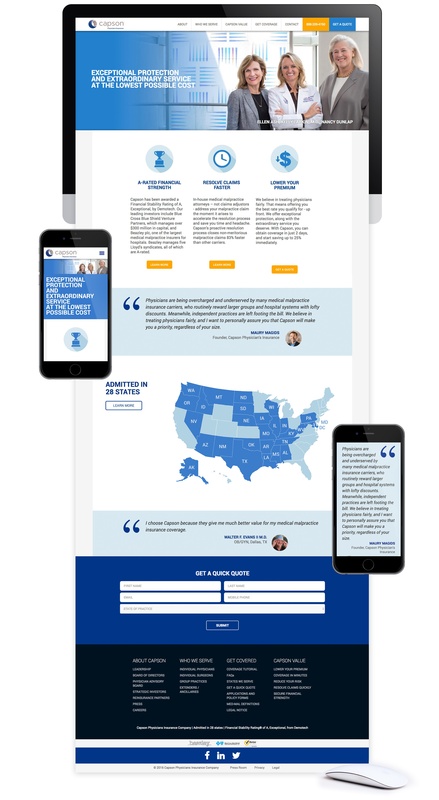 To sell more policies through the Capson website at a lower acquisition cost per order. GET LIFT Agency conducted persona research, then used the insights and findings to develop a multi-faceted marketing campaign to attract, nurture and retain customers. 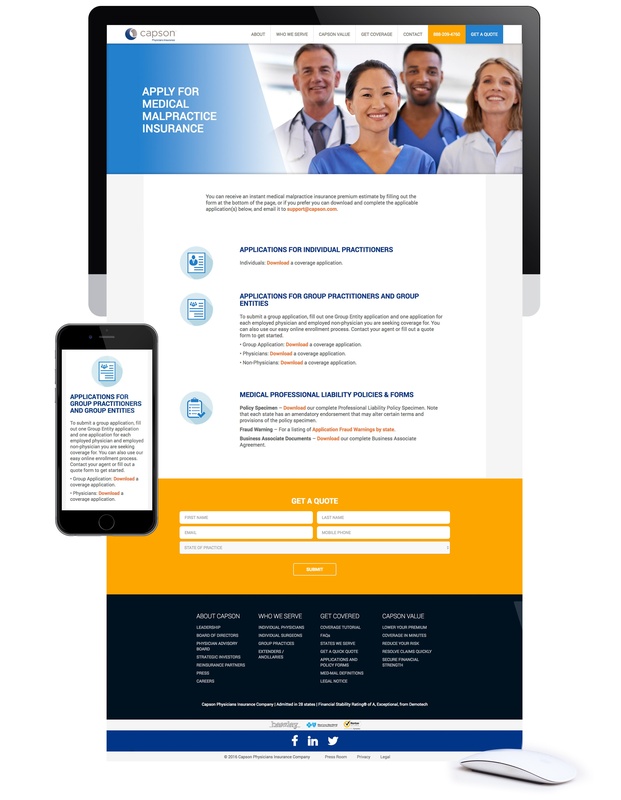 Email was employed to take a proactive approach and notify doctors and medical office administrators that their existing medical insurance coverage was due to expire. This occasion was also used as an opportunity to remind healthcare professionals of the merits of Capson’s coverage. 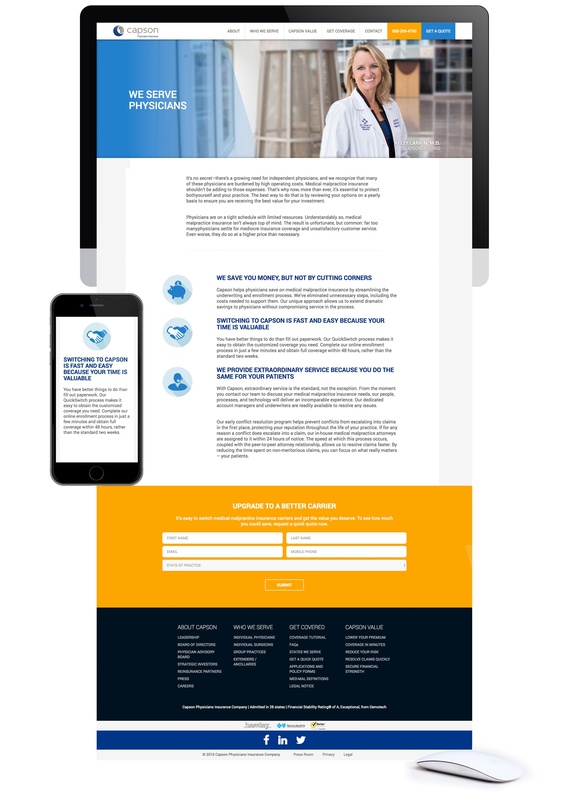 GET LIFT created an inbound marketing website for Capson with a user experience that was optimized for their lead generation objectives. Relevant, engaging content was created based on persona research, and to enhance find-ability by search engines, best-practice SEO initiatives were followed. 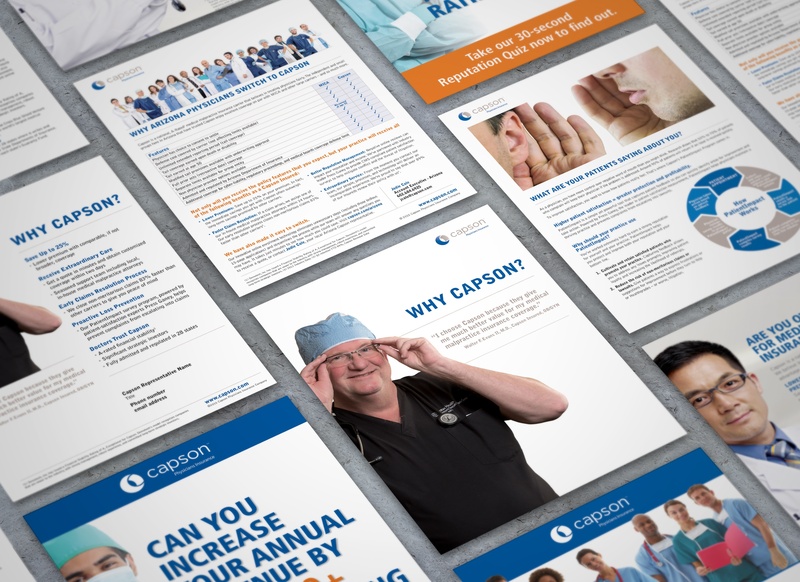 To assist reps with in-person sales calls and trade show introductions, sales collateral was created highlighting the key benefits and features of the Capson solution.